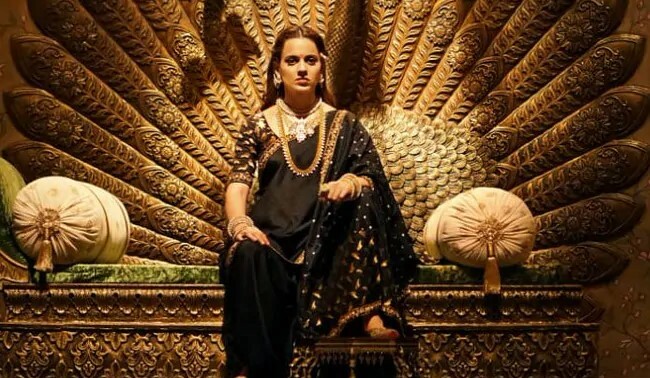 Manikarnika Trailer: Outstanding Performance And Strong Action By Kangana Ranaut: Bollywood queen Kangna Ranaut Dream Project film "Manikarnika: The Queen of Jhansi" has been released. In 3.19minute, Kangana Ranaut is seen in a grand avatar. Only Kangana is seen in the entire trailer. In the film, he is playing the role of 'Jhansi Ki Rani'. Manikarnika is the second-period movie of Kangana career. Since the Manikarnika film teaser, the audience was awaiting the launch of its trailer and now the wait is over. Kangana Ranaut based on the life of Rani Laxmibai of Jhansi, she is in lead role, she is playing the role of Manikarnika in this film. These films will be on the big screen on January 25. The trailer of this movie has been released a month before the release. Radhakrishna Jagrulmudi, who is directing this film, is doing Krish. Talking about the trailer of the film, Kangana is seen speaking a lot of strong dialogues in the total of a 3.19-minute trailer. That's what he looks very beautiful in the role of Laxmibai. Her look and action scenes are shown very beautifully. Following the same trailer, fans and Kangana fans are eagerly waiting for the release of this film. The attempt to make the movie grand is seen in the trailer. Camera work also looks fine. But according to the content, the background score of the movie has become very superficial. However, in the trailer, the personality of the Queen of Jhansi is reflected in different dimensions, so it will be interesting for the audience to see their entire personality in the film. Ankita Lokhande, who is known for her small screen scenes, is also debuting in Bollywood. She is in the role of Jhalakari Bai. Ankita look was released recently from this movie. In this look, She looks like a gun on his shoulder. Her look is also very well liked.